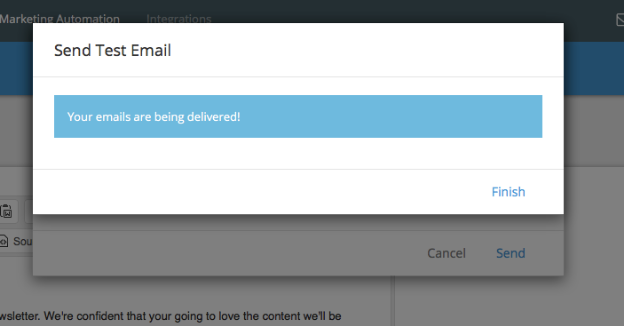 There’s the option to send test emails so that you can get an idea of what the email will look like before its sent in one of your automation workflows. 4) Enter the emails you’d like to send the test emails to. 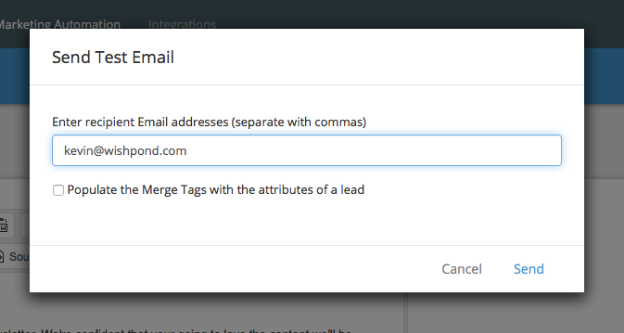 Also check off “Populate the Merge Tags with the attributes of a lead” if you are using merge tags and want to test them out using the information you know about the users you're sending the test emails to. Your test email has been sent!